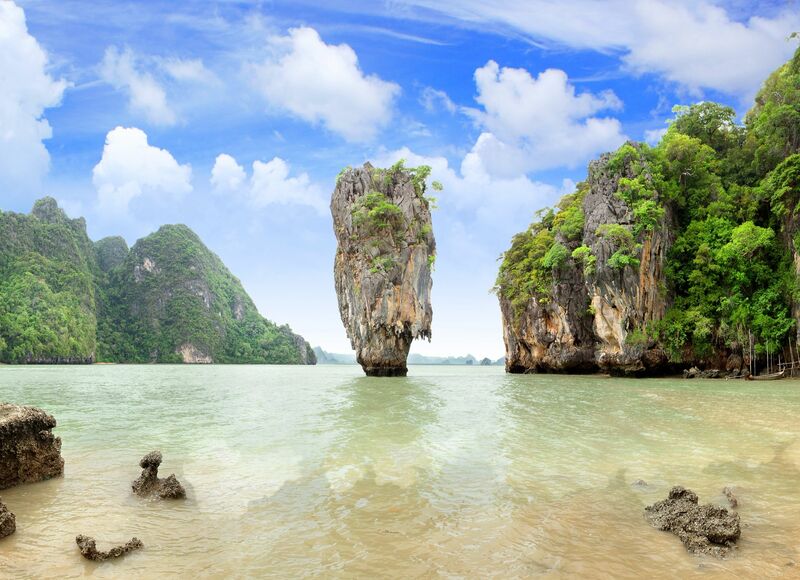 Phang Nga Bay covers an area of 400 sqkm, home to some 100 islands, is attractive for its numerous weird limestone outcrops and cliff that vertically jut out of the emarald-green water. This place has become famous after its starring role in the James Bond movie, “The Man with the Golden Gun“. The island is known by locals as Khoa Tapoo.